Galantamine has emerged as THE lucid dreaming pill. 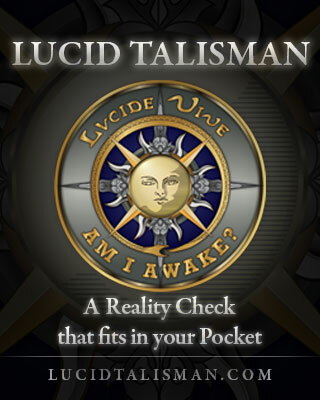 And it is currently the only evidence-based and clinically verified lucid dreaming supplement on the market. However, this natural supplement has been used for centuries in China as a memory enhancer, and was even noted by the ancient Greeks for its powerful mind-inducing effects. Now we know that galantamine indirectly promotes dreaming sleep as well as lucid dreaming, which is the art of becoming self-aware in your dreams. 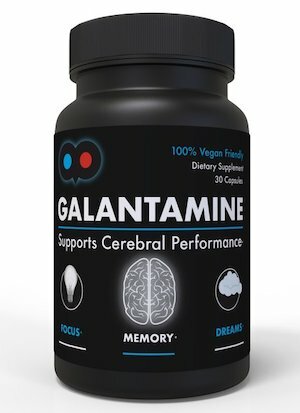 There’s a lot of hype about galantamine, so I want to cover the basics about how it works on the brain, the studies that have proven its effectiveness, and my personal recommendations for experimentation with this safe and natural supplement. I also want to be brutally honest about some of the mild psychological and physical side effects as well. The end of this article covers how to pair the supplement with mental and physical practices for best results. Want to cut to the chase? Here’s my recommendation for buying carefully-sourced galantamine. Galantamine is found in the natural world in many plant sources, including the common daffodil (Narcissus pseudonarcissus). 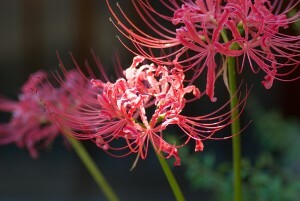 Today, it is used commercially as an extract derived from red spider lily (Lycoris radiata), the Golden spider lily (Lycoris aurea) or from the Snowdrop plant (Galanthus nivalis). The resulting compound is galanthamine hydrobromide. Galantamine and its derivatives was approved by the FDA in 2001, and is largely used as a memory-improvement supplement for sufferers of Alzheimers disease and mild dementia. Only recently has the substance been used as an oneirogen, or a dream enhancing supplement. Historically, the first evidence for using the memory-increasing properties of galantamine come from Homer’s Iliad, where, some scholars argue, Odyessus uses the snowdrop flower to combat the effects of memory loss (Duvoisin, 1983). Galantamine is known as a cholinergic agent or a cholinesterase inhibitor. In the brain, the compound blocks the action of acetylcholinesterase, an enzyme that breaks down the neurotransmitter acetylcholine. The drug is mostly metabolized in the liver. The effects are not cumulative, and only temporarily increases acetylcholine levels in the brain. As early as 1975, dream researchers found out that acetylcholine and its inhibitors are somehow involved with dream sleep (Amatruda et al 1975). In fact, noted dream scientist J. Allen Hobson stated rather boldly that “Cholinergic brainstem mechanisms cause REM sleep and dreaming.” (1988, p. 202). Around the same time, high acetylcholine levels in the brain was associated with the prevention of memory loss, which is why it appears to be effective in treating Alzheimers. So, we know that the presence of galantamine has been shown to promote dreaming sleep. Specifically, the compound acts immediately to increase the duration of REM sleep, and the dream state is made more structurally sound (Riemann et al, 1994). Also, not only does galantamine increase the period of sleep that gives us dreams, but it also seems to help with recalling those dreams upon awakening. In 2004, Stephen LaBerge applied for a patent for the use of cholinesterase inhibitors like galantamine to promote lucid dreaming. While dream researchers had discussed the importance of the cholinergic systems with dream creation and dream recall, no one had yet mentioned that it may increase the likelihood of self-awareness in dreams as well. Laberge’s results? His pilot studies show that galantamine treatments are more effective than placebos for lucid dreaming induction. LaBerge (2004) also notes that there “was also associated with a significantly elevated frequency of sleep paralysis and a 40% increase in estimated time awake during the night,” which is an important warning that I will come back to later. In 2007, Thomas Yushak verified LaBerge’s results that galantamine increases lucid dreaming, in particular lucid dreams that emerge direct from awakening and going back to sleep without losing awareness (also know as Wake-back-to-bed dreams). Most recently, in August 2018, I worked with the University of Texas Pan American on the first published clinical study of galantamine’s effectiveness for inducing lucid dreams. The study also looked at how galantamine affects dream content — the emotions and settings of our experiences. It was a small trial, 36 participants, but double-blind and placebo controlled. We tested galantamine both with and without other dream practices such as Middle-of-the-night meditation as Dream Reliving — a wake back to bed practice for reinserting yourself in a past dream experience. Our conclusions were strong: galantamine has an almost 2X correlation with lucidity in dreams. We had other findings as well; check out this blog post for a review of our study. Together, these two studies show that galantamine’s reputation as a lucidity pill is well deserved. Taking a supplement like galantamine directly affects your brain chemistry, and so it should not be taken lightly. It’s not for everyone. Some people will have adverse reactions. The most frequent side effects are gastro-intestinal, including: nausea, vomiting, diarrhea, anorexia (loss of appetite), and weight loss. In tests with Alzheimer’s patients, these side effects are temporary and more common in the beginning of treatment. 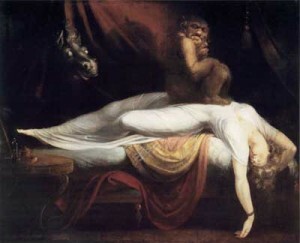 Psychological Side Effects – Sleep Paralysis! As LaBerge (2004) has noted, galantamine has been shown to also increase micro-awakenings during the night. For some light sleepers, it’s possible that galantamine can interfere with a restful night and you will wake up not feeling refreshed. Sleep paralysis is a parasoma that can be very nightmarish if you have never experienced it before. Essentially, you remain aware during the transition into sleep onset and/or REM sleep while the body undergoes muscle paralysis. To be aware during this state means experiencing strange sensations that feel like being held down or being crushed by a weight on the chest. Fear makes the sensations worse, and can spin into intensely real waking-dreams that may involve the presence of “the Stranger” which is pretty much the scariest thing you can personally imagine. So, playing with galantamine necessitates a working knowledge of how to stay calm during sleep paralysis and transform the experience into an out-of-body experience (OBE) or a truly profound lucid dream. 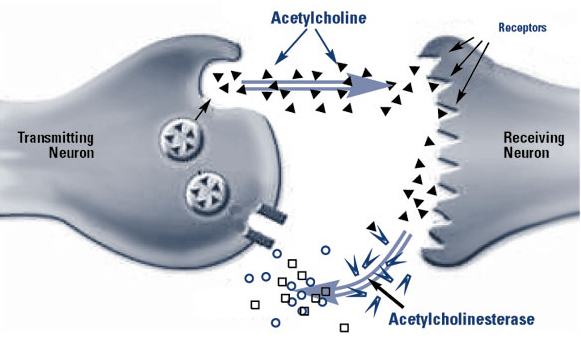 Drugs with anticholinergic properties and which cross the blood/brain barrier, such as atropine, benztropine (Cogentin), and trihexyphenidyl (Artane), counteract the effects of galantamine. Also, the following medical issues have been documented to be irritated or worsened by the use of galantamine: asthma, lung diseases, epilepsy or history of seizures, heart problems, including slow heartbeat or heart murmur, kidney and/or liver problems, stomach ulcer, and urinary tract problems. Taken orally, the galantamine supplement is active and at full strength within an hour of ingestion. The half-life is about 7 hours. 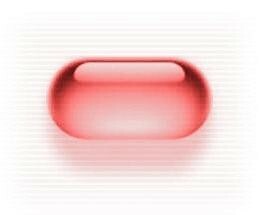 Recommended dosage for dream enhancement is on the low side: 4 – 12mg. (Alzheimer’s patients, on the other hand, often take 16mg or more a day). It’s best to take the supplement in the middle of the night to take advantage of the longer REM (dreaming sleep) cycles that occur in the second half of the night. Taking the pill before you go to bed can be counter-productive, and may result in unpleasant experiences. I personally believe galantamine should be handled with care and with a healthy respect, just as for all oneirogens, and all mind-altering substances in general. As they say, set and setting. Know why you want to be more lucid, and mentally prepare yourself for the journey. Don’t just pop the pill and flop down to bed after watching a horror movie or after a night of drinking. Instead, prepare for sleep mindfully, perhaps by listening to relaxing music before bed, or by journaling about what you want to do when you realize you are dreaming. The effects of galantamine can be accentuated if you combine the supplement with some kind of regular meditation or mindfulness practice. Specifically, middle-of-the-night meditation in combination with galantamine has been found to be more effective for inducing lucid dreams than either alone (Sparrow et al., 2018). Because solidifying intent is really the hard part of learning how to lucid dream, taking a pill alone will not do the trick, although the actual behavior of swallowing a medicine is a strong ritual act that is in itself a behavioral artifact of intention. For example, because the best practice is to take galantamine in the middle of the night (in order to not effect early night deep sleep as well as be closer to the longer REM cycles of the morning), a simple exercise is to set the alarm after four and half hours (three sleep cycles of 90 minutes), wake up and take the pill with some water, and then do 10-15 minutes of concentrative meditation such as watching your breath while sitting upright. Another effective variation for me has been to read for 10-15 minutes, especially to read about lucid dreaming. These activities increase activity in the frontal lobe, and will result in more opportunities of staying lucid as you fall back asleep. I took him up on the offer to try it myself, but first he gave me stern warnings about following his instructions exactly. The next night, I took a galantamine extract pill before bed. This is, of course, exactly what I had been warned NOT to do, but I was too lazy to wake up in the middle of the night and take the pill as instructed. What resulted was one of the weirdest and most uncomfortable sleep experiences in my life. I woke up a couple hours after going to bed wrestling with titanic forces. 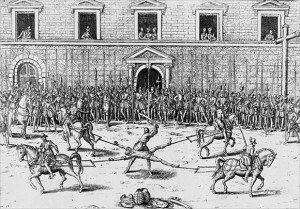 It felt like my brain was being drawn and quartered; I was disoriented, dizzy and felt a little drunk. I kept falling back asleep into these bizarre dreams that I can only describe as my head being scraped against the bottom of a submerged iceberg. A year later, I got up the nerve to try galantamine again and this time I took the dosage in the middle of the night. This time, it was a very different story. Of those four nights I took the supplement, I had 3 lucid dreams, much more than my usual once every 10 days or so. These dreams were filled with bizarre imagery, some fun flying experiences, but also some strange kinesthetics that felt like my body was being stretched, as well as some violent imagery. However, if you are a light sleeper, I recommend galantamine without B vitamins or choline, as they can increase awakenings, and even make it hard to get back to sleep. Now that I know what to expect, I have been able to transform these strange wake-to-lucid dream experiences and sleep paralysis into out-of-body experiences and lucid dreams that lasted over 15 minutes (in elapsed dream time). I personally use the supplement as part of larger dream incubation sessions which last several days and include journaling, abstinence from alcohol and meat, as well as increased mediation and time spent in nature. I’m reminded of the Buddhist concept of “the first taste,” which is described as the first fleeting brush with an expanded awareness. It can come upon us suddenly and spontaneously, and then be no where to be seen for many years afterwards. But this taste of the “goal” is what gives practitioners the courage and perseverance needed to pursue a path towards greater lucidity and mindfulness. Similarly, for those new to lucid dreaming, I believe galantamine can be a helpful ingredient to bring about a “first taste” of self-awareness in dreams. My personal recommendation for galantamine is produced by DreamLeaf, which is GMP certified (important when buying supplements!). Amatruda, TT, III, Black DA, McKenna TM, McCarley RW, Hobson JA (1975). Sleep cycle control and cholinergic mechanisms: differential effects of carbachol injections at pontine brain stem sites. Brain Research, 98, p. 501-515. Hobson, J.A. (1988), The Dreaming Brain. New York: Basic Books. LaBerge, S. (2003). Substances that enhance recall and lucidity during dreaming, United States Patent Application 604138. Toro, G. and Thomas, B. (2007). Drugs of the Dreaming. Rochester, VT: Park Street Press. Yuschak, T. (2007) Pharmacological induction of lucid dreams. Published online 2007 but not currently available. Yuschak, T. (2006) Advanced lucid dreaming: the power of supplements. Lulu Enterprises.